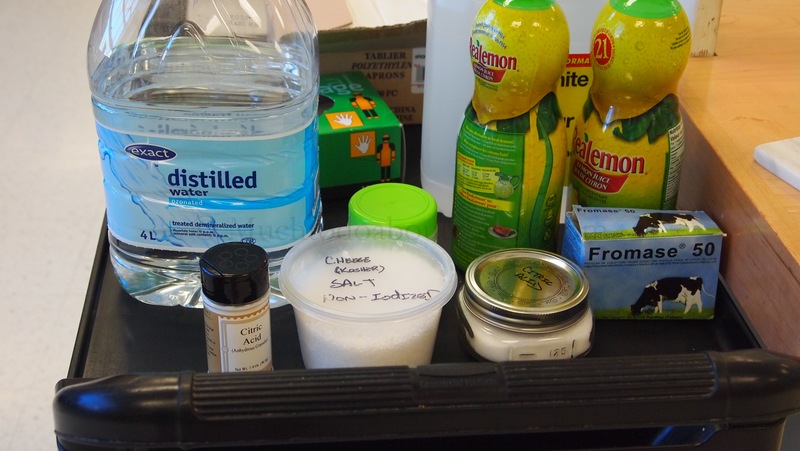 Earlier this year I have the pleasure of going up to Grande Prairie Alberta to teach an Introduction to Cheese Making Class, it was a great experience for both the participants and myself. So much so that I have been asked, and I said yes by the way, to come back in April of 2015 to teach another class. So mark you calendars, April 11, 2015 is the date. If they get a great response another class could be added. You can find out more about Grande Prairie Regional College and how to register for the class by clicking here. Have curd knife, will travel. 9 More Join The Fellowship Of Cheese Making! It was a cold and cheese full day last Saturday in Edmonton, when 9 more people joined the “Fellowship of Cheese Making.” It was -28 degrees Celsius (-18 Fahrenheit) at the start of the day, but it warmed up to a balmy -23C by the time we finished. I spent the night before prepping my . November 22 Camembert Class – Thank You Blush Lane Organic Market! 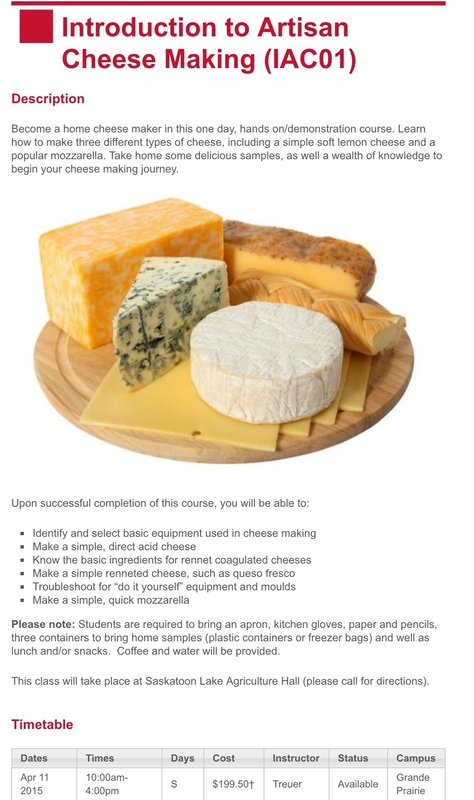 As you may or may not know, I have taught Introduction To Cheese Making Classes for Metro Continuing Education in Edmonton. Yesterday I had the pleasure of teaching my first “Advanced” class, Camembert. I always talk about how the quality milk is important and all brands are not created equal; but at the same time I talk about how decent cheese can be made from bog standard store milk. Thanks to past student of mine, who got me in contact with the Manager, Scott, of Blush Lane Organic Market in Edmonton, this class had the opportunity to use some amazing milk. 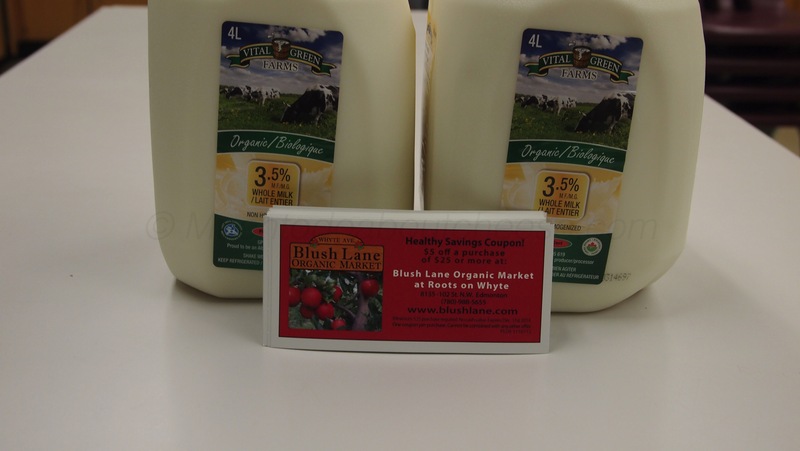 Blush Lane Organic Market sponsored the milk for my class, by providing 32 Litres of Organic, Grass-Fed, Low Heat Pasteurized, Non-Homogenized Vital Greens Milk from Picture Butte, Alberta. I wanted to publicly thank Scott and Blush Lane Organic Market for their generous donation, it was greatly appreciated by everyone. The milk and some coupons for the Store. But how did the cheese turn out you ask? Well the proof is in the pudding or curd in this case. Have Curd Knife, Will Travel! – Grande Prairie Cheese Making Class June 7th. Go North Middle Aged Man & Take Your Cheese Making With You! I have some exciting news to share. 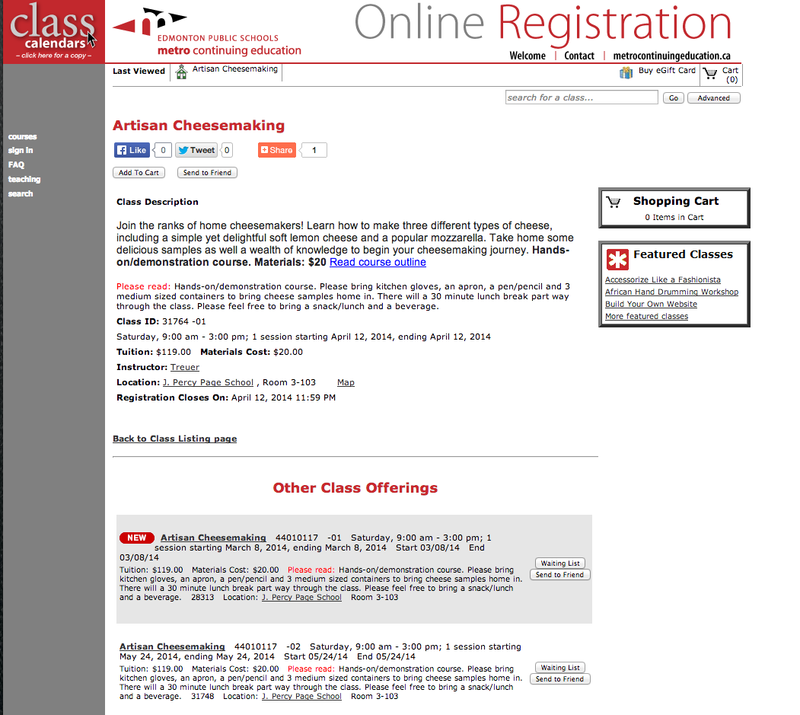 I have been asked, and I accepted, to teach two, one day cheese making classes for Grand Prairie Regional College the weekend of June 7 & 8, 2014. 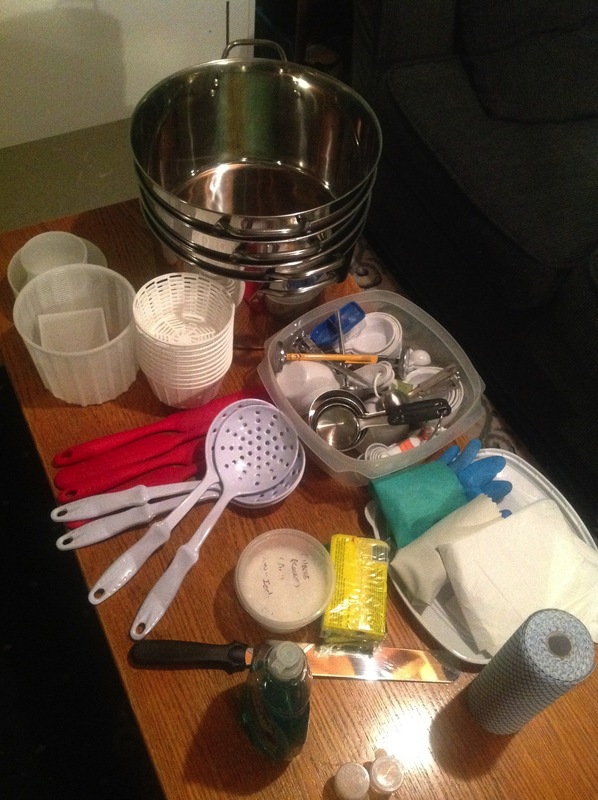 Third Cheese Making Class added at Metro Continuing Education in Edmonton. Just an update to for my the classes that I am teaching for Metro Continuing Eduction in Edmonton, they have added a third class due to the high demand. It will be on Saturday April 12 from 9AM to 3 PM. There are still a few spots left in the class when I looked tonight. Click here to visit Metro Continuing Education to get more information or to register. 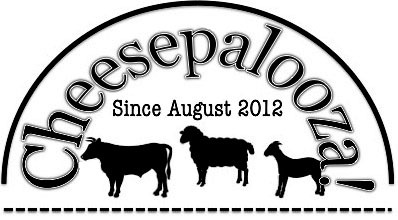 You probably noticed the changes to the website, and to the Cheese Making Classes page. With the changes there have been some glitches, including the new Class Information Request form not working. I apologize if you filled it out and you did not receive an answer back. The form now works, so please resubmit your email and I will get back to you.